There’s too much TV for us to watch everything but we watched a lot in 2018 and with this year’s slate of winners we’ve tried to highlight some shows that haven’t gotten the awards love we think they deserve (and a few that have). 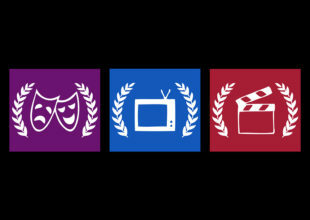 Don’t miss our 2018 Nominee Interview Series, featuring exclusive interviews with dozens of this year’s nominated artists and be sure to check out Awards Headquarters for more from the Critics’ Pick Awards, including the Theatre and Film winners. In its second season, Donald Glover’s brilliant FX tragicomedy proved that the monumental praise for its first season wasn’t overblown. 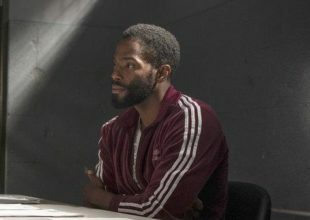 On a purely stylistic level, Atlanta is one of the most unique and tonally evocative shows on the air, to say nothing of the fact that each episode explores a totally different stylistic world and does it well. 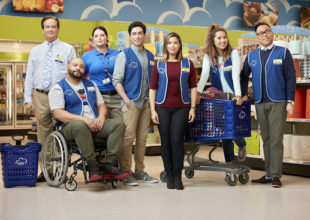 I laughed so hard during this season premiere that I literally cried. Full of brilliant parody songs and astute character observation, this was a highpoint for a highflying show. I cried so hard during this mid-season episode that I literally laughed. Yes, both writing winners are animated. 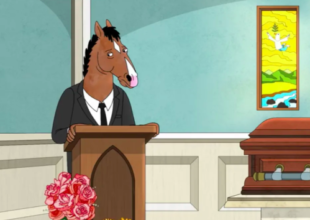 And, yes, BoJack is a drama. I dare you to argue. If you’ve seen this episode, you know why it won. This is one of those rare shows where #13 on the call sheet is a hilarious, fleshed-out character. So are #1-12, and the recurring guest who only shows up twice a season, and that guy who’s really just there for weekly cutaway gags. It’s a pitch-perfect ensemble full of loveable, fresh characters and unique points of view. 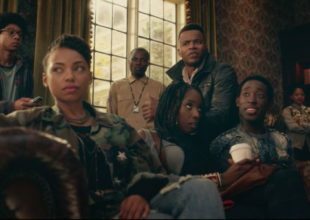 Whereas the Superstore cast is a textbook example of diversity, the incredible cast of Dear White People is a game-changing reminder of the vast diversity that exists within a single racial group. Every character in this growing college epic is layered, lived-in, and captivating. The whole cast carries the narration and the effect is that everyone is a star. There’s always so much buzz around last year’s winner D’Arcy Carden and sitcom icon Ted Danson that the other clutch supporting performers on this brilliant show get missed. 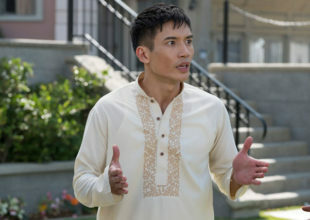 None more than Manny Jacinto who is a marvel of charming dumbassery and impeccable timing. 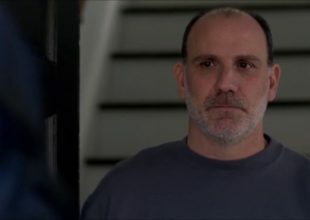 It’s a little strange how much OITNB has focused on Caputo in later seasons but Nick Sandow’s ragged empathetic everyman carries the material well, embodying the eternal struggle not just to do the right thing but to figure out what that is. Shor’s deeply human yet totally absurd Diana is one of the great terrible bosses in TV history. Except she’s not terrible. She’s a nightmare and an inspiration and a sneaky supporter and a vulnerable mess and Shor is so funny I can barely stand it. Something of a sidelined character throughout the first five seasons, season six was Cindy’s breakout. 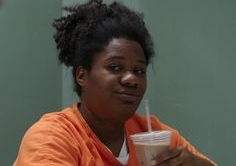 Moore anchored a heart-wrenching storyline in the aftermath of season five’s riot that tested Cindy’s one defining trait to date- unflinching loyalty to her people. This show is far from perfect but its one great stroke of genius was casting Zoe Perry as Sheldon’s kind-hearted religious zealot mother. Perry has taken what her own mother Laurie Metcalf did with the role on Big Bang Theory and built something strong and lovely on that foundation. Season two of this incomparable Netflix dramedy brought Debbie Eagan to new heights as she got into producing. 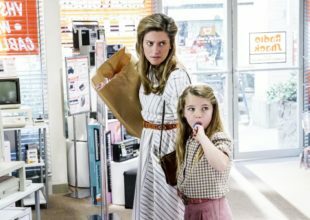 Betty Gilpin remains one of the most captivating performers in the television landscape and GLOW is a perfect showcase for her zany brilliance and remarkable depth. 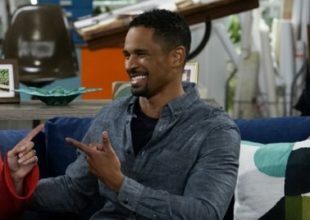 I was really fond of this definitely cancelled but not-quite-yet cancelled CBS sitcom in no small part because it provided the great Wayans Jr with the type of role that works best on him- goofy sweetheart. His infectious energy elevates everything around him. I wish this one could survive. 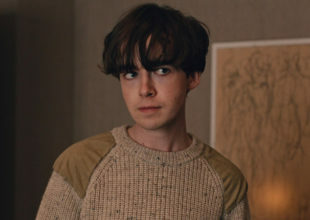 Still waters ran so so deep in Alex Lawther’s restrained but emotional performance in this engrossing British dramedy about a pair of runaway teens. His slow unravelling was one of the great descents on any show, never quite letting the audience trust him but daring us not to care. “Black and Blue” focused on Det. Atwater and the human side of the Chicago drug trade. 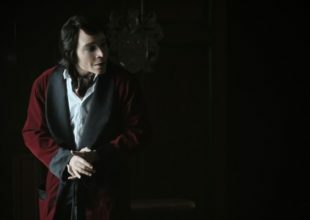 It was one of the great episodes of TV in 2018 and Truvillion’s rich performance was at its core. It was an inspired one-time appearance that deserved a full spinoff series. 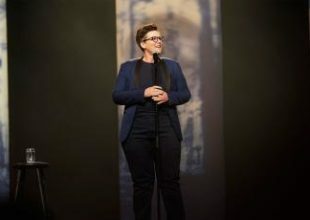 Hannah Gadsby’s Netflix special hit its viewers like a ton of bricks and very quickly became mandatory viewing for as many people as the people who’d already seen it could force to watch it. It’s an honest revelation and a gut punch and a wake up call and god it’s good. 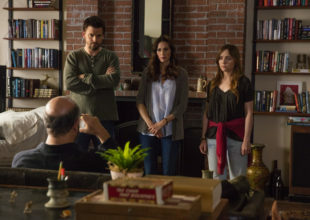 Nothing can revive a strategy show like a new mastermind and the extraordinary game played by Tyler Crispen in season 20 of CBS’s deceptively complex Orwellian shitshow did just that. He united a divided fanbase and easily earned “best to never win” status. The jury system is broken. I usually prefer to pick a show that didn’t get a fair shake in this category- something pulled from the air in its first season. But we lost Casual this year and even though it got a pretty decent run (4 seasons), it didn’t feel like nearly enough. This Hulu gem still needs more attention. This is my attempt to call your attention to it. Better late than never. This wasn’t a fair fight. Queer Eye hit the zeitgeist in 2018 harder than anything across all genres. It was a big-hearted, perfectly cast revelation that justified reboot culture and forced everyone to come to terms with the fact that we’re all big softies at heart and that’s not a bad thing. Plus it had two seasons last year. Not a fair fight. Almost losing Brooklyn Nine-Nine in 2018 really put into perspective how much we’d be losing. It helps that the run of episodes that aired in 2018, though not long, is some of the show’s tightest work. A glorious bottle episode featuring Sterling K Brown is series-best writing and Jake & Amy’s wedding was the rom-com TV highlight of the year. That one week in the summer when I’m watching the new season of GLOW has quickly become my favourite week of the year. Its world is so enthralling, its writing so sharp, and its cast of characters so well drawn that there’s really nothing like it. You could argue that it’s a comedy but I would argue that that’s missing the point. I used to hate Schitt’s Creek, until I started watching entirely to prepare for an interview with Noah Reid. 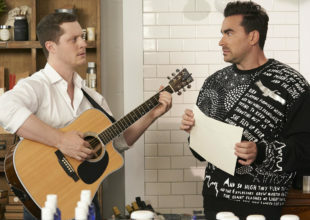 I fastforwarded to just the David & Patrick scenes and soon found myself thinking that maybe Schitt’s Creek was my favourite show on TV. They’re magic. It may have been the most calculated political move of the decade but it was the live feed confession heard around the world. 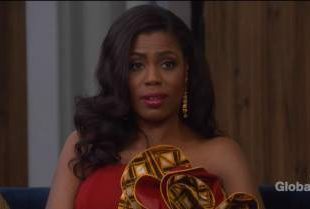 Omarosa was a genius Big Brother player both in her play within the game and how she used the game to play the outside world. Evil but genius. 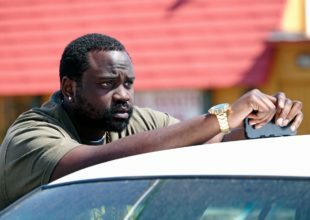 Not only was his nuanced performance in season two of Atlanta one of the great arcs of 2018, Brian Tyree Henry was everywhere this year- Drunk History, BoJack, Room 104, Irreplaceable You, Into the Spider-Verse, Widows, White Boy Rick, Beale Street. He’s good in everything. Literally everything. He might be the best actor we’ve got going right now. We’ll see. I’ll have to report back when someone finally gives him a leading role. Live musicals is a surreal but insanely fun trend that’s starting to get a little out of control. The fantastic success of Grease Live directly led to the ambition of this one and that really paid off. It was imperfect but thrilling, unabashedly theatrical, and the first truly hard text tried by this crazy format. Read more here. 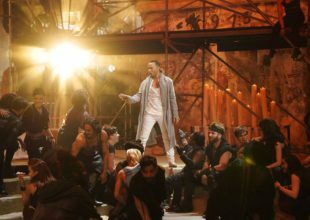 I honestly think, as a cultural moment, JCS Live was watershed.